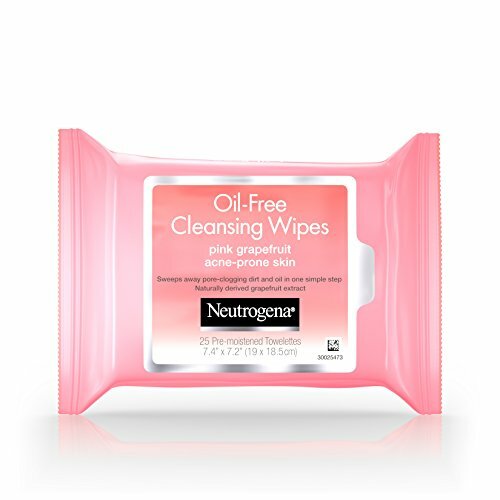 Clean and refresh your skin quickly and easily with Neutrogena Oil-Free Cleansing Wipes. These soft, pre-moistened wipes thoroughly cleanse skin of pore-clogging impurities, all with an uplifting blast of pink grapefruit. Oil-free and ideal for acne-prone skin, the wipes sweep away pore-clogging dirt and oil in one simple step, leaving skin feeling fresh and clean--no need to rinse. Dermatologist- and allergy-tested, the wipes come in a convenient resealable package. View More In Cloths & Towelettes.